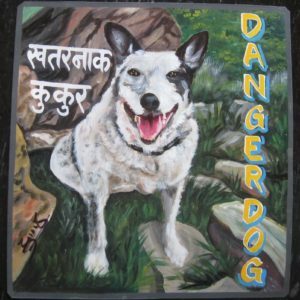 Lucy is a pretty Australian Cattle dog hand painted by Baba. 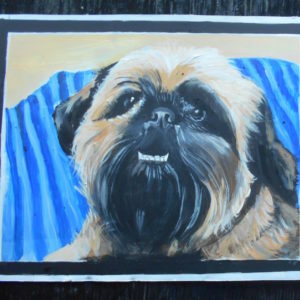 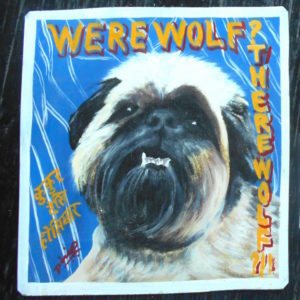 Luke was a dog with a voracious appetite. 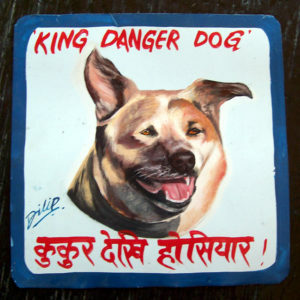 He is my only King Danger Dog to date. 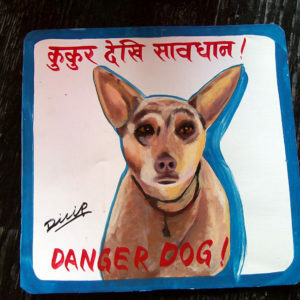 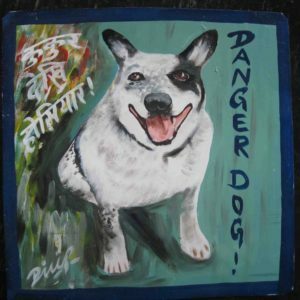 Hand painted by Dilip this Australian Cattle Dog has a gleam in his eye. 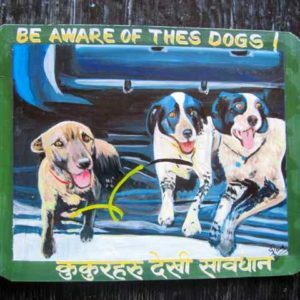 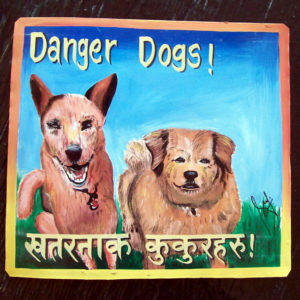 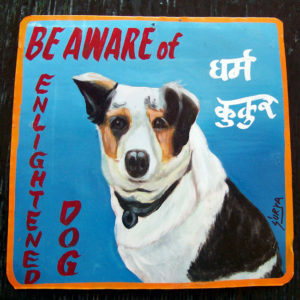 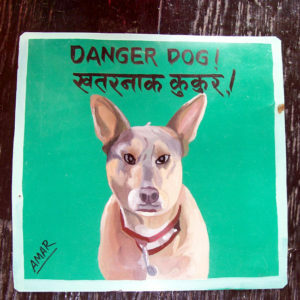 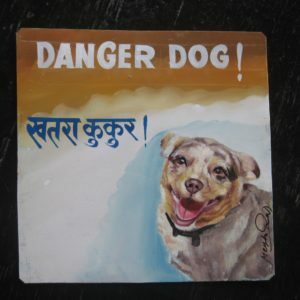 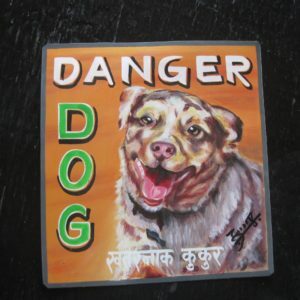 Grace the Australian Shepherd is hand painted on metal byAmar Shrestha. 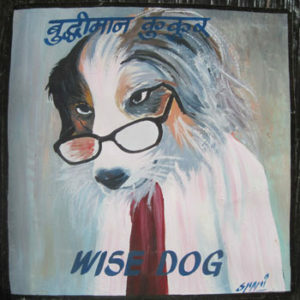 Bliss the Australian Shepherd is maxing her agility trials in this hand painted portrait by Hari Timesina. 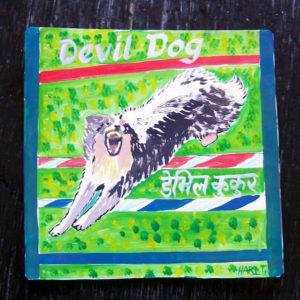 She’s a Devil Dog !!! 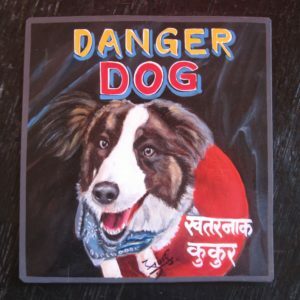 Tank is a very handsome Australian Shepherd, here hand painted by Sagar Bitsa.